It wasn’t that long ago when garage door wind-load was something that was only considered important in coastal areas such as Florida. As the industry has progressed, however, awareness of this important component of garage door security has spread through several other areas of the country. If you’re in a market where wind-load regulations are in place – or even if you’re in an area that may not have requirements but is still prone to powerful storms each year – it’s very important that you keep wind-load in mind when choosing a new garage door. The term “wind-load” refers to the amount of pressure or force that is extorted on a structure. This can apply to garage doors, windows, entry doors and many other parts of a home. Since a residential garage door is usually the extended opening in a home, garage door wind-load is a very important consideration. Wind pressures are referred to as positive and negative. Positive wind pressure acts toward a building, while negative wind pressure acts away from it. Many states have garage door wind-load regulations that adopt International Building Code standards. The calculation of wind-load is very involved, taking several different factors into account. 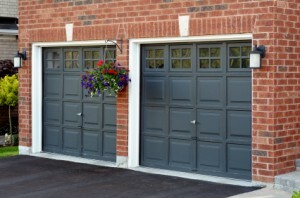 Garage doors are typically tested to see how they perform after 10 seconds of a certain level of pressure. However, some areas (including the Texas coast) stipulate that garage doors also have to be tested to see how well they resist wind-borne debris. One test is performed by using a cannon to shoot a 9-foor 2-by-4 50 feet per second at a door. This test is followed by hundreds of wind cycles testing the resistance of the door to positive and negative pressure. If you are interested in finding out more about garage door wind-load, or you want to find models that have the highest ratings, contact us online at Action Garage Door or give us a call at 713-589-5090.